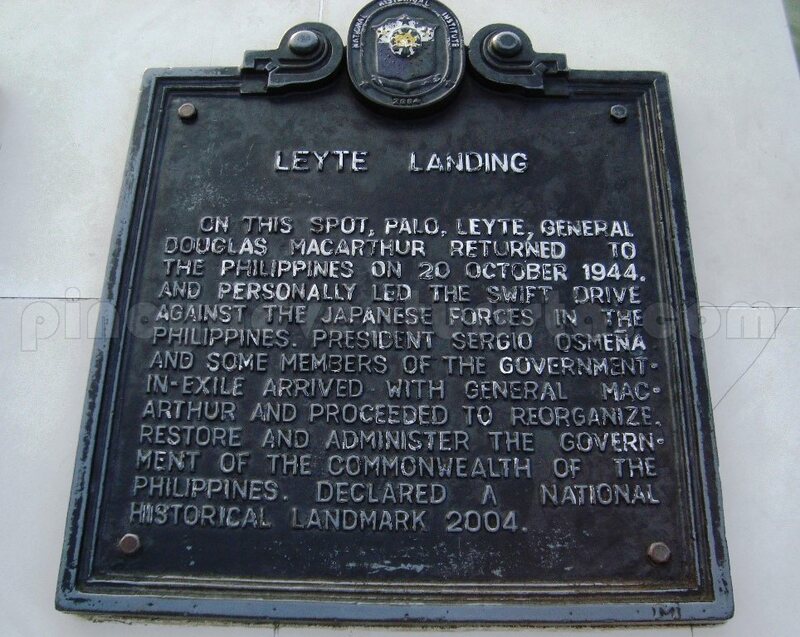 Considered as one of the most historical towns of Leyte, Palo is the the site where Gen. Douglas MacArthur landed when he returned to the Philippines together with hundreds of military forces on October 20, 1944. 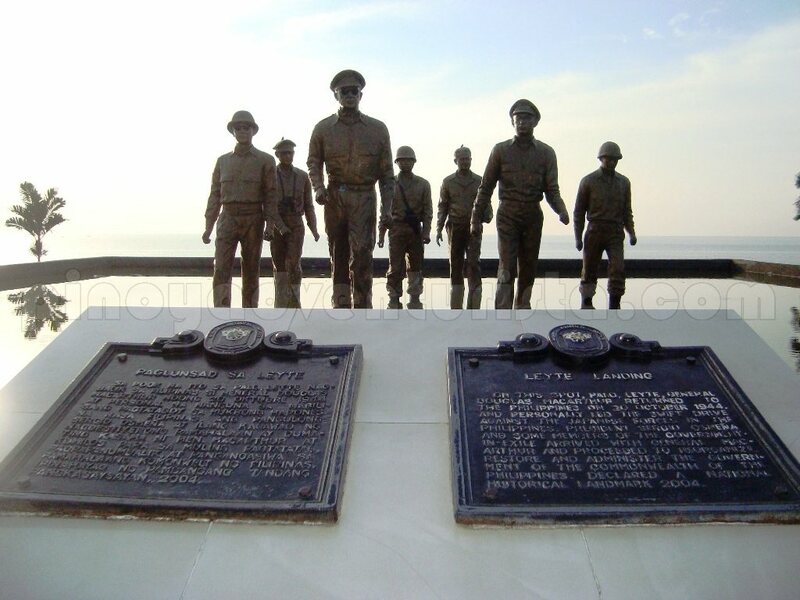 A landing memorial was erected at the Red Beach to mark the spot where MacArthur and his troops landed. The "red" in Red Beach is not because the sand here is color red; rather, it refers to the color of the beach after being drenched in blood during the war. The larger than life bronze statues stand on a lagoon depicting the historical return of Gen. Douglas MacArthur, together with President Sergio Osmeña as a fulfillment of his promise to the Filipinos to come back and help liberate the Philippines from the Japanese. 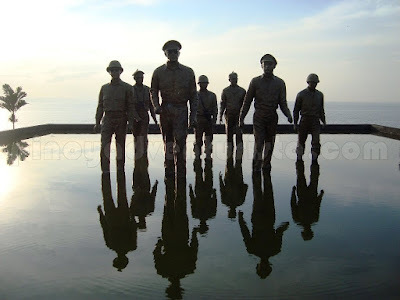 This is the first site that we visited on my 2-day adventure trip in Leyte and Southern Leyte with my friend, JM. It's my 2nd time to visit this province, but I wasn't able to see this landing memorial when I was here few weeks ago. 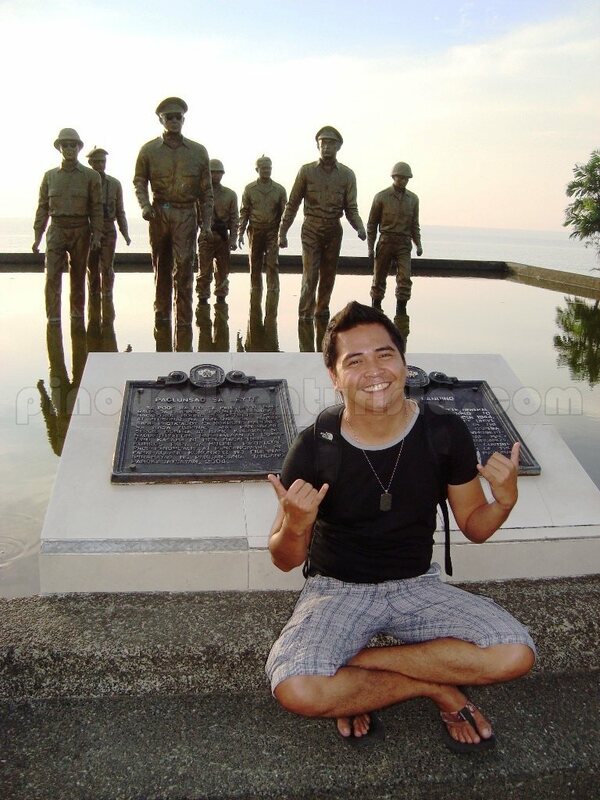 So I told my friend that we should visit it and relive Gen. MacArthur's historic return. From the airport, we took a downtown-bound jeepney and alighted at the Coca-Cola Plant at the turn around in Brgy. San Jose. Fare is is 7 pesos, travel time is around 5 minutes. From there, we took a multicab bound for St. Paul's and get off at Campetic Crossing (7 pesos). You can walk or take a pedicab for 7 pesos each in going to the Landing Memorial. Posted on November 23, 2011 Categories: Leyte , Trip ko 'to..
Never been here so this makes this post my priority when I get to Leyte! I love the article and the photos Mervz! See you in the future ha. @Chyng - unfortunately, di pa ako nakakapunta ng Surigao... hirap makakuha ng promo tickets going there eh... hehehe! The figures from the tableau looks well-made. 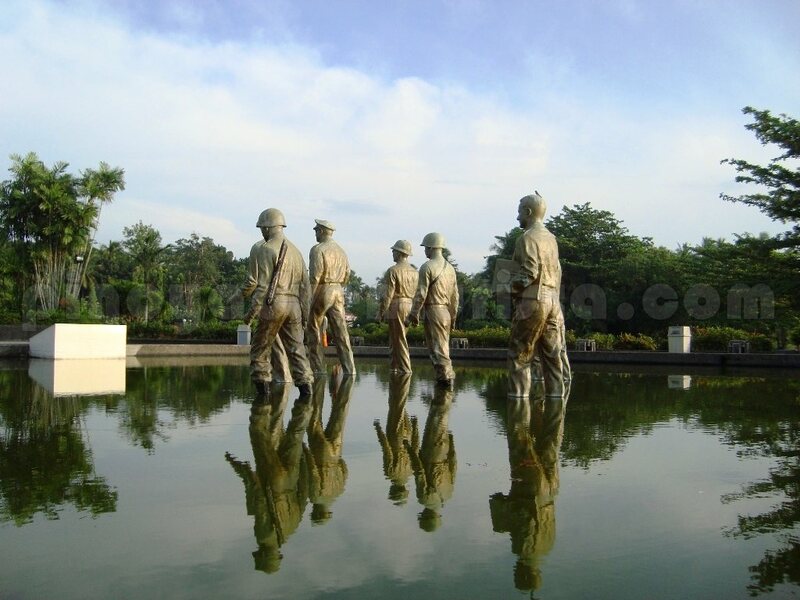 Would you know who did sculpture? I have been here ages ago, and napadaan lang kasi hindi pa available ang ka-meeting namin. So we had a side trip for about 1 hour and then picture-picture...hindi pa uso ang digital noon. LOL! But I would like to revisit this place. Don Mervs, have you seen Palo's Old Houses?